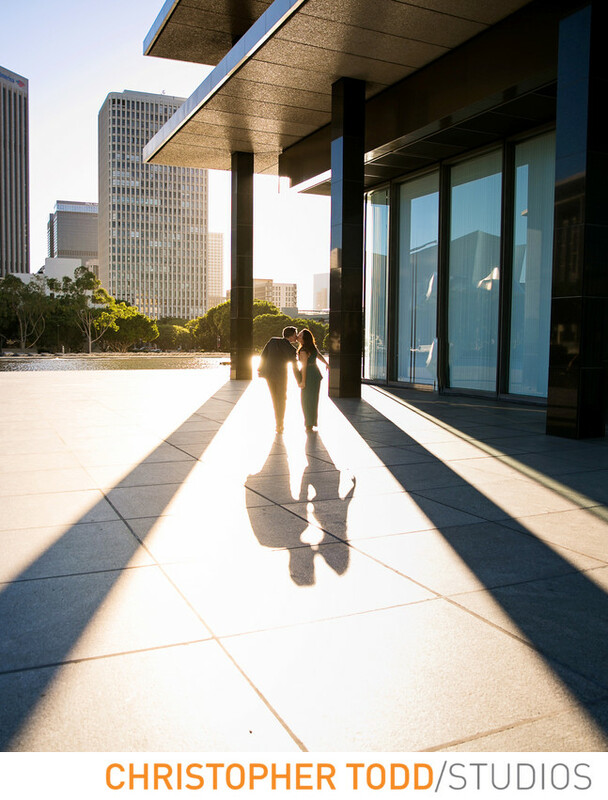 This engagement photo was taken at the Department of Power and Water Building in downtown LA. Just a short walk from the Walt Disney Concert Hall. A modern approach to your engagement session. I love how the couple is captured between the shadows during the sunset. Location: 111 N. Hope St. Los Angeles, CA 90012. 1/500; f/2.8; ISO 100; 24.0 mm.